All meetings are held at 2pm. Business meeting will include election of officers for the 2018-2019 meeting year. Business meeting (kept very short) will include installation of officers for the 2019-2020 meeting year. Annual June potluck...come hungry and enjoy yourself! Society to provide meats and drinks. Members are asked to bring a salad, covered dish and/or a dessert. Take a trip to Scotland... It's a great time of year to go!! Annual Halloween Party. Treats and games for the kids. (Bring your camera!) 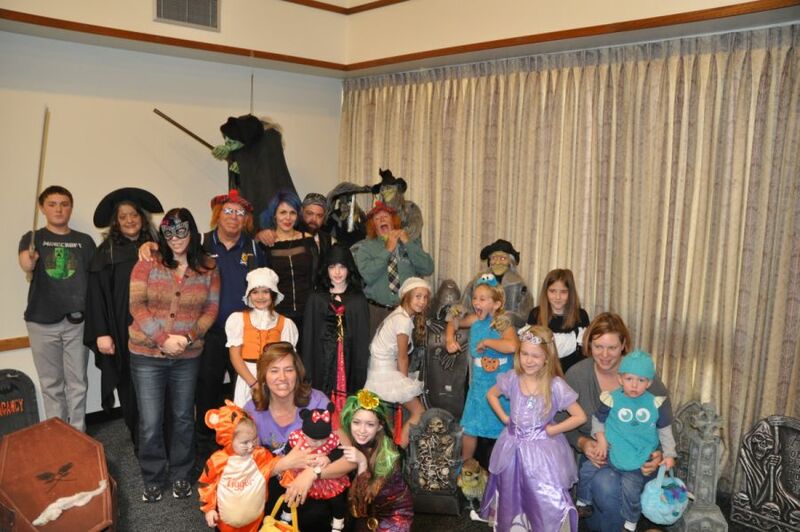 Costumes (for young and old alike) are welcomed and encouraged ... as evidenced by the picture below from the 2013, October meeting! As is our custom in November, our secretary Fiona Alpaugh will be on hand with some of her Highland dancers to entertain and educate. Annual Christmas party and potluck. Good food and fun for all! This meeting is a very family centric event, so bring the children and/or grandchildren. (We may even have a visit from our favorite, kilted Santa.) 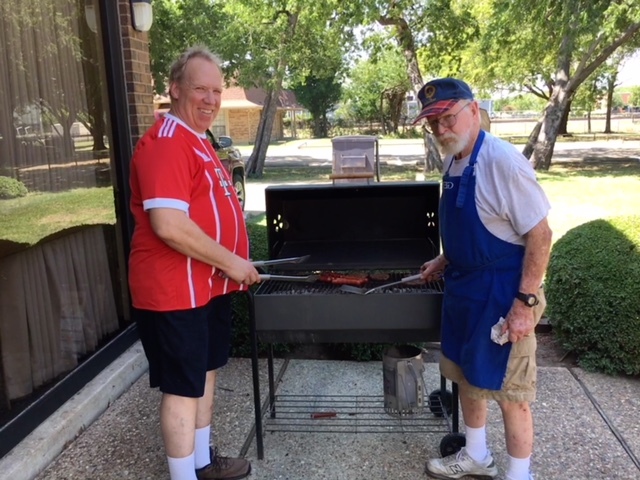 The Society will provide the meat and drink; members are asked to bring: salads, side dishes and/or desserts and come hungry. Members: If you would like help "erase" any of the "Program TBD" statements above, please contact one of the society officers (or click here to send email to our webmaster) and let us know what you have in mind. Members are encouraged to share images and stories of their travels; "lessons learned" from genealogical research efforts; presentations about historical Scottish events or figures, etc. We are also open to presentations from individuals outside of our group. Remember: Our collective success is built on the abilities and contributions of all of our members ... not just a few!